Verizon announced this morning that it is offering a new app available from both the Apple App Store and Google Play Store. Called "My Numbers," the app supports the use of four additional phone numbers on the one handset. Now, we know you're going to say "this can't possibly be free." We'll, you are right. The app is free to install, but each line that you add to the app will cost you $15 per month. But that still could be quite a cost efficient way to use one handset as your home and business phone. Keep in mind a few things. All four numbers must be for domestic lines. You can set different ringtones, notification tones and icons for each line, and even give them different names. This way, you will be able to quickly know which line an incoming call or notification belongs to. After all, whether you plan on using this app for business or pleasure, you don't want to answer a call by saying the wrong name (company or person). 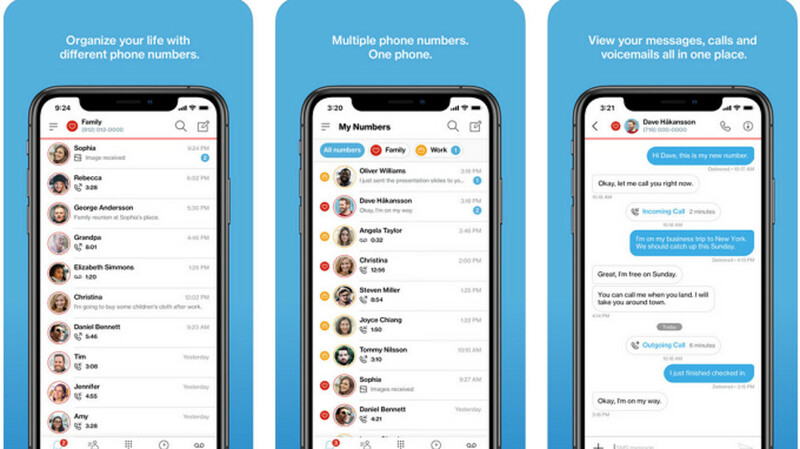 Each number will also have a separate voice mail system and its own texting app. As long as you can keep everything compartmentalized in your mind and don't make mistakes, the My Numbers app will give you the capabilities of having a multiple-SIM phone even if your handset doesn't even offer Dual SIM capabilities. The billing end of things is routed through your monthly Verizon invoice, and everything else is controlled through the app. To add your new numbers to your current Verizon-activated phone, download and install the new app (iOS|Android). Use your current Verizon number to view the subscription plan and choose the virtual number(s) you want to use. Confirm the changes to your monthly subscription, and start calling and texting with your new number(s). That's all there is to it. Google voice might not give you 4 numbers, but at least that's one extra line for free. You can have as many Google Voice numbers as you want if you use separate email accounts and can verify your numbers. I have two GV numbers on my phone plus my carrier number. Anyway it's completely free and works internationally so only a moron would get the Verizon plan over GV.